WE'RE BACK! The Book of Mojo IndieGoGo Campaign Returns! Team Mojo is at it again! 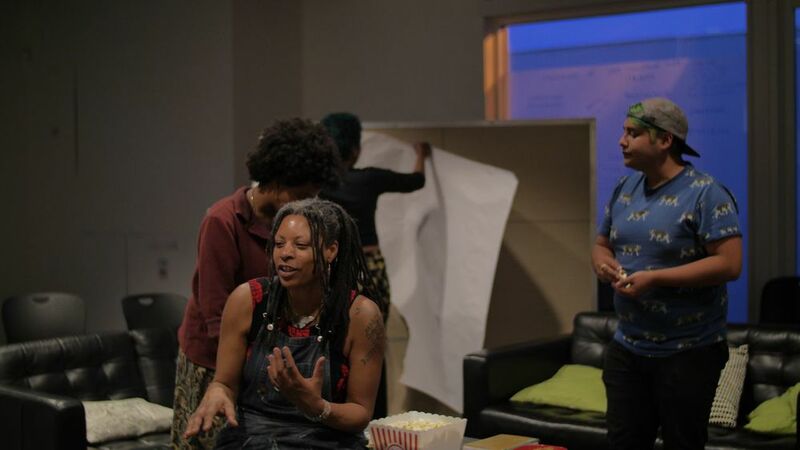 Our newest campaign focuses on funding production preparation. Greetings Book of MOJO Fans! Last week's Wyrd on the Street noted Team MOJO's comeback for another round of campaigning with the plan to relaunch May 25th. We spent many days last week working with a new publicist & social media manager to develop an effective strategy to spreading the word about the Book of MOJO. After much planning & plotting with the MOJO PR Team, we decided to push the launch date to June 1st. This extra week is crucial for the PR Team prelaunch prep and the financial success of the next campaign. Reaching new people increases Team MOJO’s odds of raising more funds and making our production costs. As a subscriber and fan of the Book of MOJO, once the new campaign launches Team MOJO would appreciate your support in spreading the word of the Book of MOJO IndieGoGo campaign. Shout-outs, re-posts, and shares from followers of the Book of MOJO are just as crucial to the success of the next campaign as your contributions (no matter how small). With all the work the MOJO animation crew, producers unit, & PR Team has been diligently producing plus your active support of the project, we feel very confident we will succeed in this next round of fundraising. Team MOJO thanks you for your fandom and following. Stay tuned & we'll keep you posted. Keep up with the Book of MOJO! Sign up with your email address to receive news and updates from the Book of Mojo. You stay tuned. We'll keep you posted. We respect your privacy. Thank you! And Welcome! (^_^)! TEAM MOJO A GO-GO AGAIN! ...now what's going over here with Team MOJO?! As you know last week we wrapped up our Indiegogo campaign. 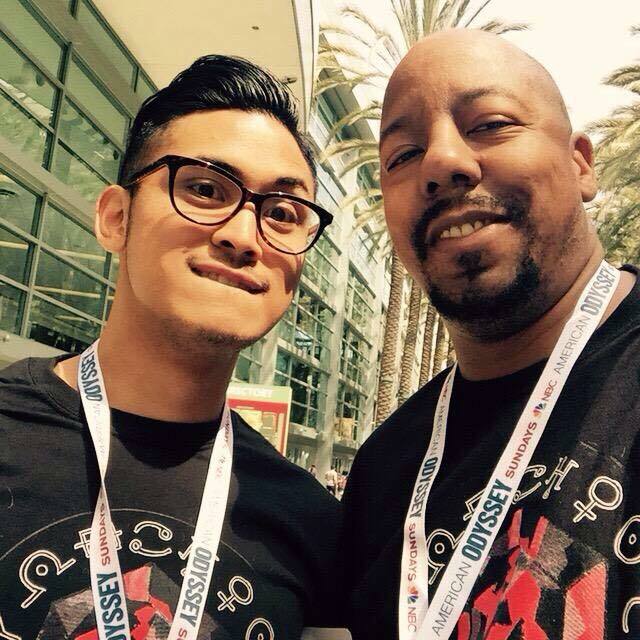 We (Team Mojo) thank you very much for helping to raise over $ 25k! We would like to make it clear that this is only the beginning for us and although we did not make our first goal we are coming together again and gearing up for our relaunch on Kickstarter! You are invited to join us! Team Mojo has been working hard and we are proud of everyone that is helping to bring this to be and is equally excited for you to see what we have been working on. Stay tuned for more updates and the countdown to our relaunch. This is the final update for the Book of Mojo Indiegogo campaign. We want to thank all of our contributors for your support and pass on a message for the future of the Book of Mojo. We'd like to apologize for the glitch in our scheduled Hangout this past Sunday. We had service issues that prevented us from broadcasting. That said, we'd like to give it another shot and this time we're going BIG! You guys have heard plenty from me, and I thought it would be fun to open it to the whole team! This Thursday, April 30th at 7:00 pm (PST) join me and a few of the talented team members for a fun Q&A session! Mike Yates (story), Maria Yi (vis dev), Morgan Johnson (music), Aaron McGriff (animator), and MontaQue Ruffin (animator) will be among those there ready and waiting to answer all your burning questions. Definitely come and check it out, it's going to be great! Finally, I thought it would be fun to share another clip from the pilot with you guys. Again, it's WIP, and getting better all the time. Check out what happens when the Demonlords decide to pick on our favorite runaway witch! Like us on Facebook, follow us on Twitter, Tumblr, and Instagram from more comic updates and behind the scenes info. Team Mojo met up for a couple of drink and draw events in So Cal this week. 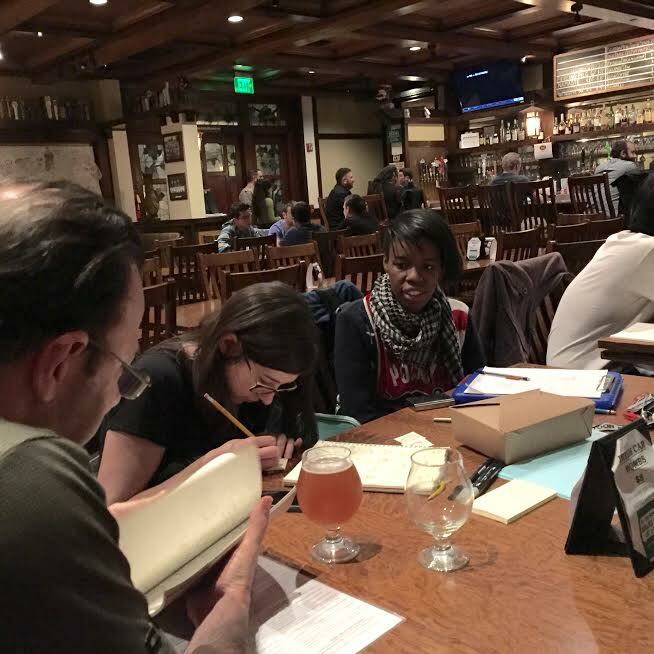 Special thanks to Ian Abando, who hosted our event at Story Tavern in Burbank, CA and our producer Yvie also hosted (a non acholoic) college Drink & Draw. Thanks to everybody who came out to visit and do art stuff with us. ... also BIG WOW Comicfest in San Jose this weekend was amazing! Were you there? Send us your Mojo sightings! You never know what’s around the next corner when it comes to this Mojo stuff, so it’s good idea to keep in the know. 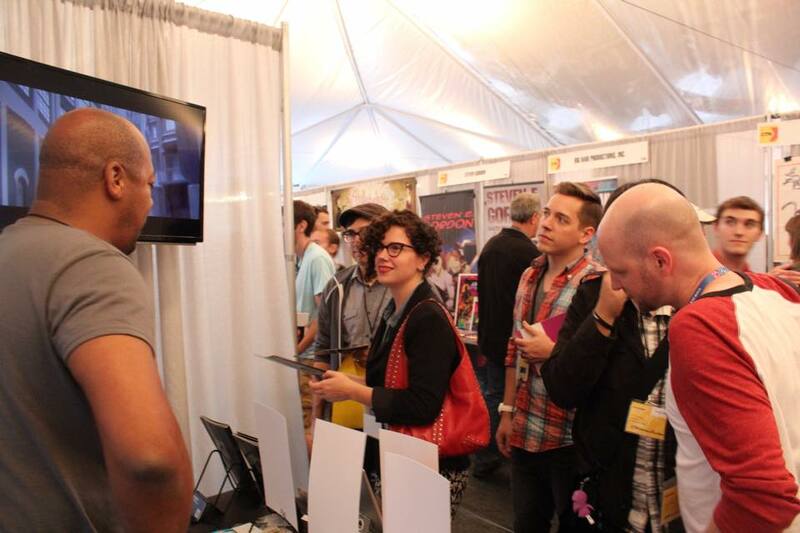 MoCCA Fest 2015 was amazing! We’ve spent so much time with Mojo fans on the West coast lately, it was great to meet some of our East coast fans. AND... new perks are up!! So if you have been wanting to contribute but haven't really liked the perks here are a few of our new perks. You can view all of the perks on our campaign page. We have 17 days left of our campaign and still have a way to go before Book of Mojo is completely funded. If you have contributed to our campaign then you know that we will be at Big Wow Comic Fest in San Jose this weekend and that TODAY in Burbank we will be having a Drink & Draw at Story Tavern at 7pm. All proceeds from both events will go towards our campaign. Join us! We’ve also devised a few more opportunities to win some cool Mojo merch, so be on the look out if you've missed out on some of our giveaways. 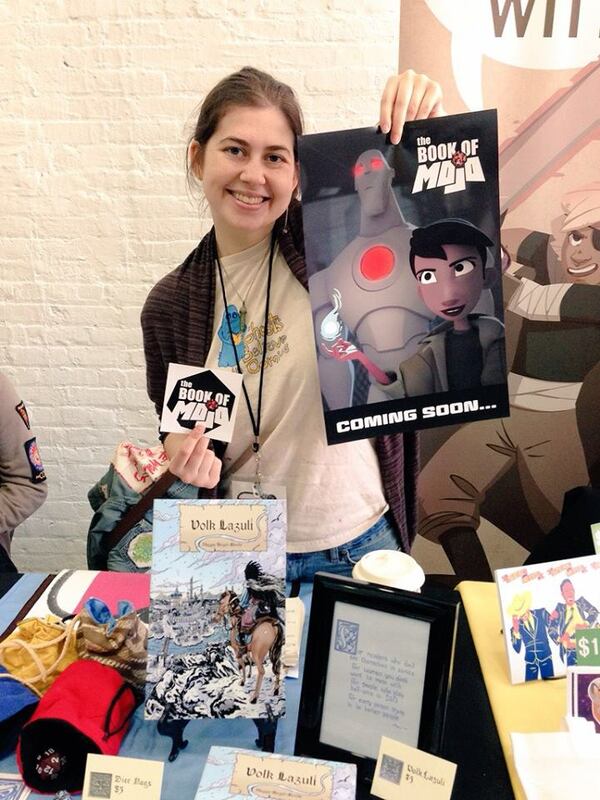 For our NYC Subscribers we will be at MoCCA this Saturday only! Look out for us to get some goodies. As we speak, we’re working on an animation test that has us super excited to share. We’re talking magic in action, folks. Magic. In. Action. 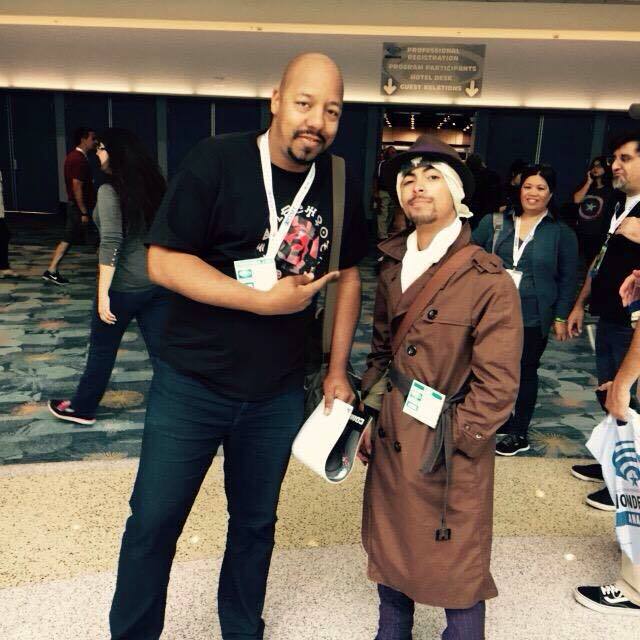 Hangouts, Updates, WonderCon & More!! 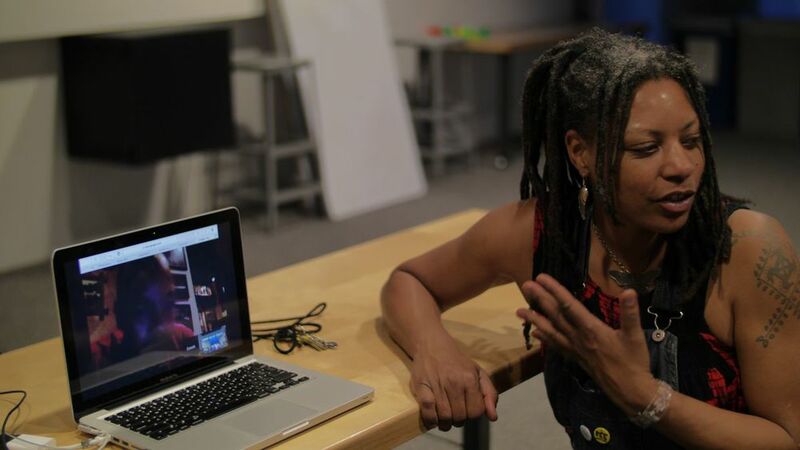 This past Sunday had a Google Hangout with creator Everett Downing and hosted by Emma Coats. We had a great time and can't wait to do this again once we hit our milestone Thanks again to everybody who dropped in to talk to us about Mojo, animation, and all things geeky! 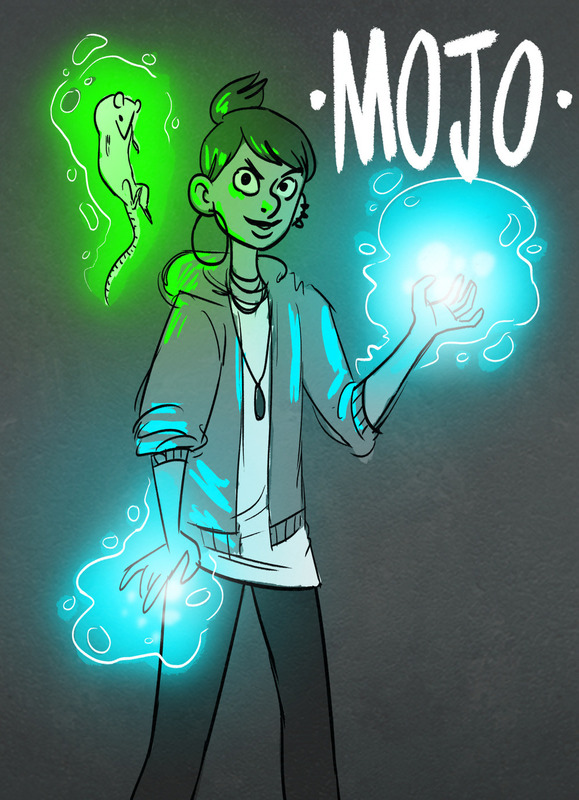 We’ve started receiving Mojo fan art. Thanks to Naomi Hicks and Jessica The Desolate. If you’ve got artwork that you would like us to share, send it over! Team Mojo is on its way to WonderCon! We’ll be in Anaheim the weekend of April 3-5th talking to fans and passing out cool Mojo merch. Come out and say hello! We’d love to see you! 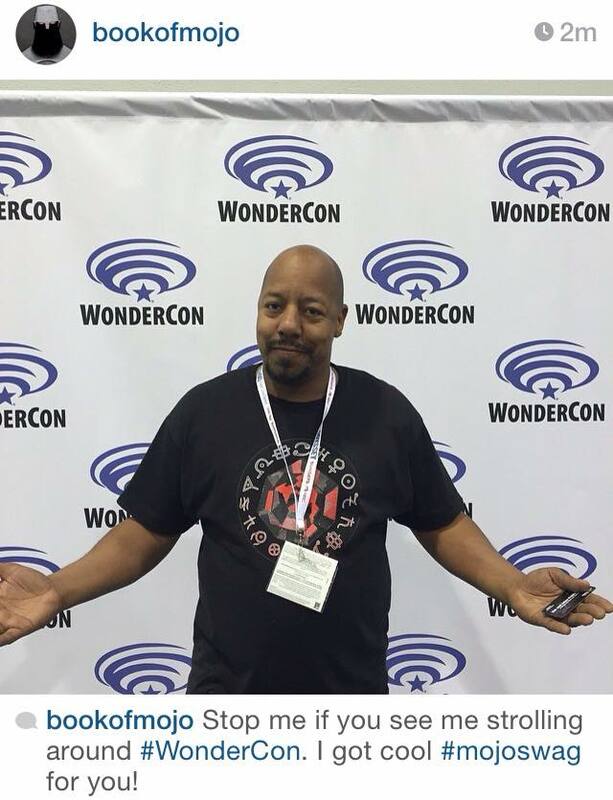 For those of you who can’t make it out, we’ll be shooting video of our time at WonderCon that you can check out afterward. LET’S TALK CAMPAIGN REWARDS, SHALL WE? You've seen the lovely photoshop pics. They're great for stand ins, but we wanted to show you guys what's really being planned. The amazing and incomparable Seung Sung has graced us with an awesome CG mock up. And finally, it’s worth mentioning that folks who’ve already contributed to the Indiegogo campaign are on the fast track to all the latest and greatest information regarding the Mojo project and everything we have in store. We’re grateful for all the support we’ve received and we’ve still got a mountain to climb. Thanks to everybody who’s been giving us a boost! We recently recorded voices for Creepy (Kim Tillman), Twist Joey Richter) and Thales (Zachary Shore). Hopefully you have seen our video footage on our Facebook page. Also if you havent stopped by the website yet what are you waiting for?! BookOfMojo.com has gotten a major face lift! Our campaign to make the book of Mojo webcomic into a 3D animated pilot has launched and we could not be more excited! JHead over to our Indiegogo campaign page to see our all-star team of artists and contributors alike. We've got some awesome perks that we're so glad to finally share with you including a Book of Mojo artbook, a "Twist" replica mask and even a mentoring session with Mojo creator and director Everett Downing. we're about to release Book of Mojo Vol 2 as a webcomic, so now is the thime to catch up on Volume 1 if you havent already. We've Launched Our Indiegogo Campaign!! Now that you have watched the video you can click here to learn more and help us complete this installment of Book of Mojo! The winners of our Facebook milestone giveaway sent us some pictures of the prizes we sent them. Thanks Damian! If you missed your chance this time around to pick up some of this sweet Mojo bounty, this won’t be your last opportunity. We've been seeing a lot of cool fan art popping up lately and really liking what we see. If you've created any Mojo themed artwork that you want to share, send it on over. We’d love to give you a shout out! This wouldn’t be a newsletter if we didn’t have news for you!... We’ve pushed back our Indiegogo launch date to March 23rd, so we’re taking the opportunity to dot all our i’s and cross all our t’s while we work towards our new date. Meanwhile, we want to thank all of our new subscribers and welcome you to the party. We’ve chosen our three winners from this week’s flash giveaway and they’ll be receiving a signed copy of Book of Mojo: Volume 1 and a poster. We’re waiting on confirmation from our winners before we shout them out, so keep an eye out because it could be you! We've triumphantly re-emerged from our big bi-coastal production team meeting where we also managed to shoot some excellent looking Behind the Scenes footage. After months of storyboarding and recording, teams from LA and New York got a chance to see the most recent edit of the Mojo animatic which made it easier to imagine what we would ultimately be making together. We reached a milestone this week with our first 500 Facebook page likes! 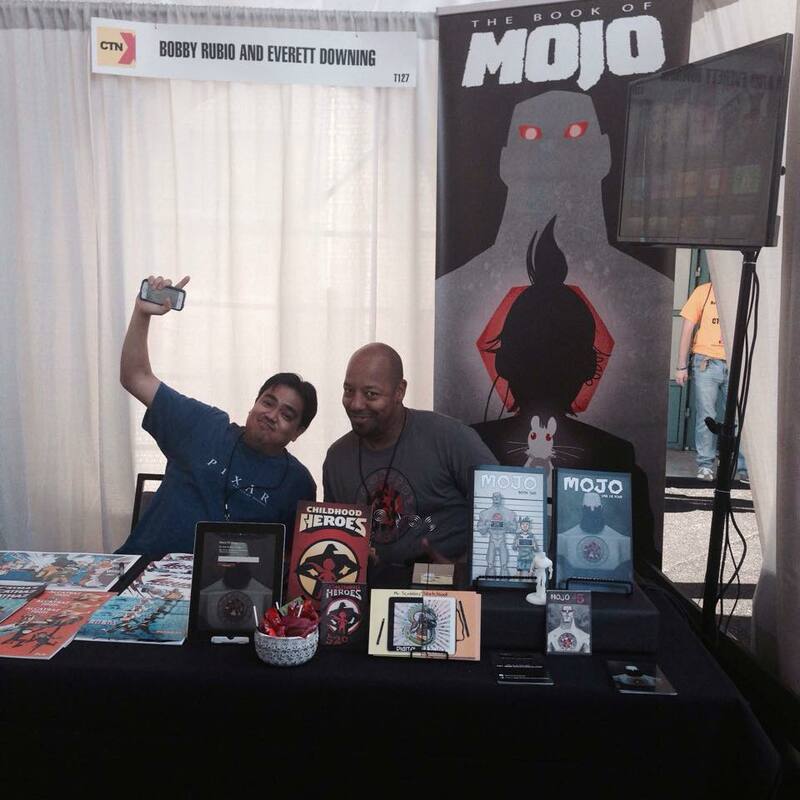 To celebrate we offered a couple of lucky Facebook fans signed copies of Everett Downing’s Book of Mojo: Volume 1 comic. Congratulations Jonah Sidhom & Damian Hutchinson! For those of you who missed your chance to participate in this giveaway, we’ve got some more surprises on the way, specifically for you, dear subscribers. So keep a look out! We’ve got a big crew meeting this weekend, and we're planning to shoot a bunch of behind the scenes footage so you can get to know our awesome production team. Mojo is coming together nicely as we look to begin production on our 10 minute high quality animated short in the (very) near future! Our Indiegogo Campaign launches March 16th and we’re so excited to have your support in turning this amazing series into a reality. You guys can continue to support us by spreading the word! Have them follow us on Twitter and Facebook. Get them to subscribe to our newsletter. Every click counts. Until then, watch the skies and keep your ear to the ground, because magic is real & there’s a lot on its way. Greetings and Happy MLK Day! I decided that today would be a great day to relaunch, and refocus my web comic. We're planning bringing a lot of cool stuff to you this year and we wanted to kick it off with the comic. We're presenting it in an all new format. We'll be posting updates 3 times a week; Mondays, Wednesdays and Fridays and I'm working on new content right now. We're hoping that the previous works blends seamlessly with the new stuff later this year. The reason we're doing this is to bring in new readers, and also to engage you guys, the audience. We invite you to comment, get involved, Let us know what you think. This leads me to the reason I picked today to relaunch. As a creator of color (I'm African-American), diversity in film and media has become very important to me, especially in light of the recent events in the world. I truly believe that if the world we live in isn't reflected on screen, or in the media, it erodes our sense of empathy as a culture. A comic featuring a strong female lead of color is a rare thing these days, and I'd love to change that. If that's something you believe as well, I really encourage you to support the book if you like it and tell your friends! Stepping off soap box now. I look forward to bringing you guys lots of awesome in 2015! What's up my magical mystical friends?! Welcome to a brand new year! It's been awhile since I've updated, but I don't want you to take that as a sign of inactivity. Quite the opposite in fact! I've been hard at work on Mojo cooking up some awesome sauce for you guys! CTN was a great experience and since then we've been keeping our heads down and our eye on the prize. (That and the holidays were crazy!!) 2015 looks to be a big year for Mojo and I can't wait to show you guys what we've been working on. Where's that comic you promised? Book 3 was originally supposed to come out November 2014, but I had to push the date to start making preparations for a Mojo Kickstarter. Now that CTN is behind us, I can start to focus on the comic. I'm actively working on getting you guys a comic by the spring. I'm working on a way to get you a taste sooner. More on that later if all goes well. What's up with the Kickstarter? Preparations are well on the way. We've been working hard on some really fun stuff behind the scenes. I think you'll be pretty happy with it when we launch In March. Stay tuned for more as we begin our exciting journey into 2015! Hey all! CTN Expo wrapped up on Sunday, and while I'm slightly exhausted (and hoarse!) and I have to say it was an absolute blast! We had a good amount of foot traffic and I was blown away by the overwhelming positive response to the comic and the teaser. I received a ton of great feedback, and I can't wait to get working on what we have stored for you. I wanted to thanks to all of you that dropped by the table to listen to my spiel. Stay tuned for more info and surprises! Mojo is headed to CTN! I'll be sharing a table with the incredibly talented Mr. Bobby Rubio. I'll have some prints, the first two issues of Mojo, and a few extra surprises. So if you're planning on being there, come by and check us out! Exciting things are in store!